The Vampire Diaries. The Vampire Diaries. HD Wallpaper and background images in the Vampiri#From Dracula to Buffy... and all creatures of the night in between. 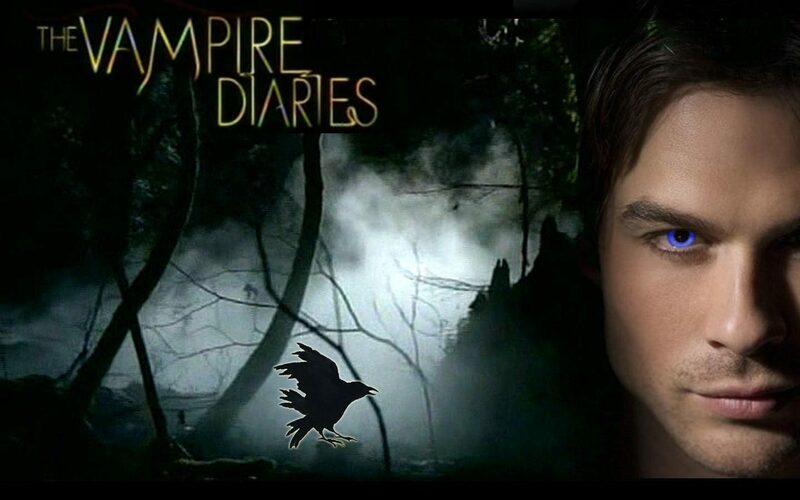 club tagged: damon vampire diaries wallpaper. This Vampiri#From Dracula to Buffy... and all creatures of the night in between. wallpaper contains anime, fumetti, manga, and cartoni animati. There might also be segno, manifesto, testo, lavagna, and poster.